If you have an IP Video device that is not already supported in eKeypad, it may be possible to setup a custom camera driver to make it work. One of the key settings that must be entered is an RTSP or MJPEG stream path (Image URL in eKeypad settings). If your equipment supports the ONVIF protocol this article describes how to extract this Image URL. 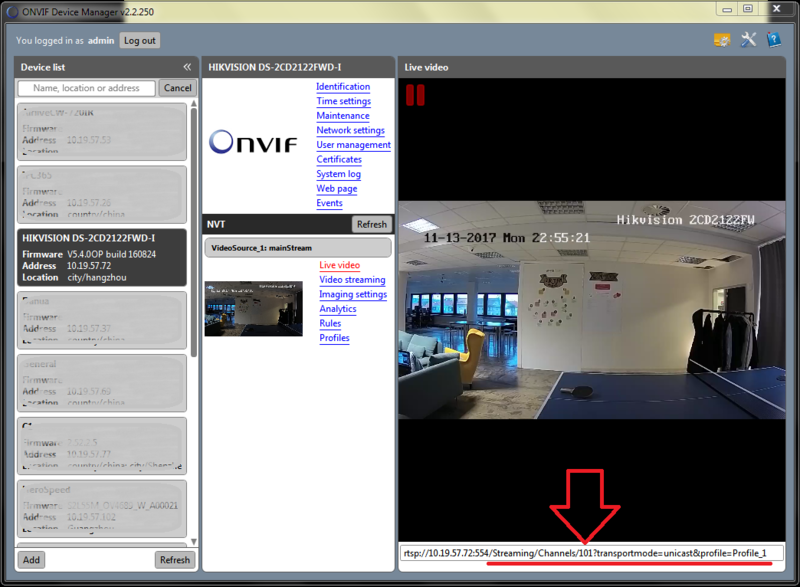 ONVIF Device Manager is an open-source software application (currently available for Windows only), which scans your network for cameras, DVR’s, and NVR’s which support the ONVIF protocol. This application will also allow you to view the various settings of the video device including the Image URL. Step 1: Be sure you are on the same network as the target device. Step 5: Copy the stream address, shown under the live video and send it to eKeypad support for instructions on how to setup a custom IP Video device.